Is this the Tesla of the seas? The 30-foot craft is powered by a 'completely silent' propulsion system and zero-emissions electric motor. 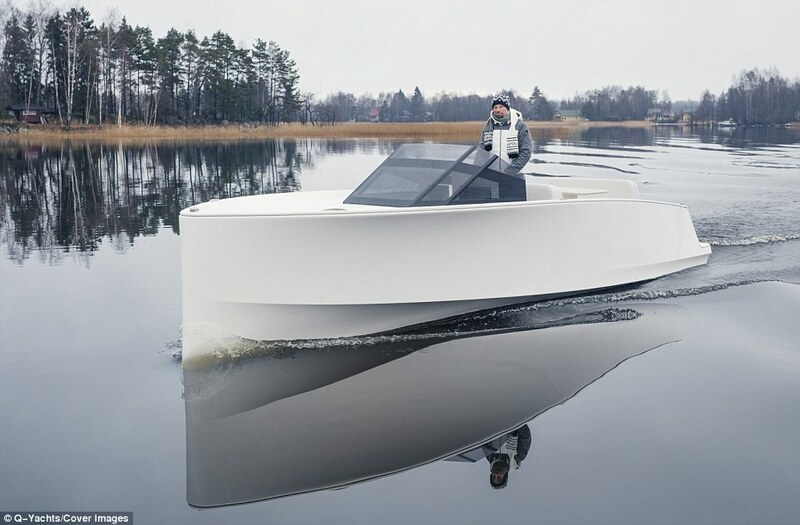 The 30-foot (9-metre) Q30 craft, built by Finnish firm Q-Yachts, is powered by a 'completely silent' propulsion system and has an electric motor that produces no emissions. It has a range of 80 nautical miles (92 miles/148km) and can seat up to eight people, with a roomy below-deck cabin providing space for a small sink, additional seating and storage closets. Q-Yachts describes the vessel as the 'smoothest and most silent motorboat on the market', but has yet to reveal the vessel's price or release date. The company, which is based in Helsinki, said the craft was designed so sailors could 'enjoy the journey, not just the destination'. 'We are positioning ourselves as the Tesla of the seas,' Q-Yachts sales director Joakim Hilden told SuperYachtNews. 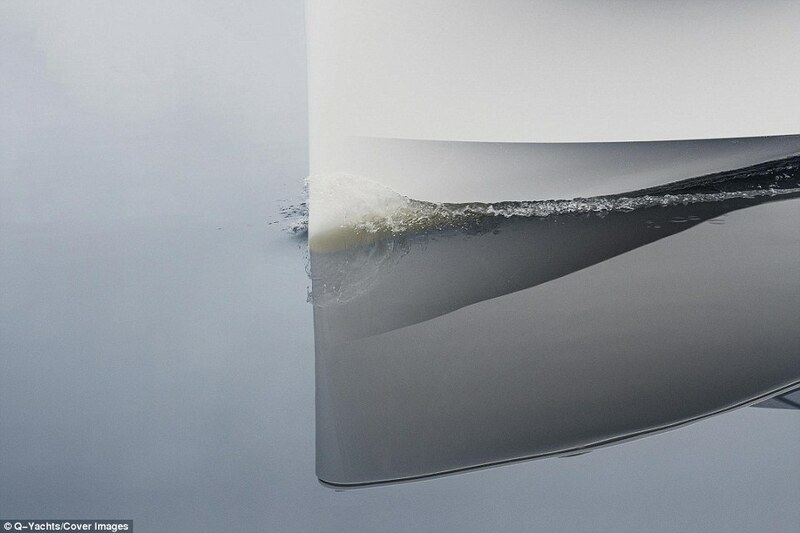 The engine of the Q30: The vessel is propelled by an all-electric system called 'Oceanvolt' that has previously been used as an alternative power source for sailboats. 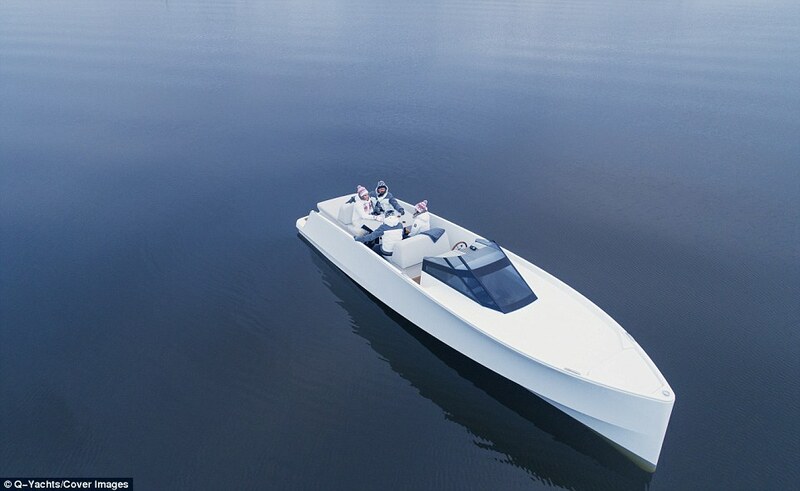 Dubbed the Q30, the vessel is propelled by an all-electric system called 'Oceanvolt' that has previously been used as an alternative power source for sailboats. The propulsion system is low-voltage, meaning it operates at a relatively small revolutions-per-minute, making it quieter than conventional engines, Mr Hilden said. The motor's shaft also goes directly into the engine, meaning there is no gearbox, a design feature that further reduces noise levels. 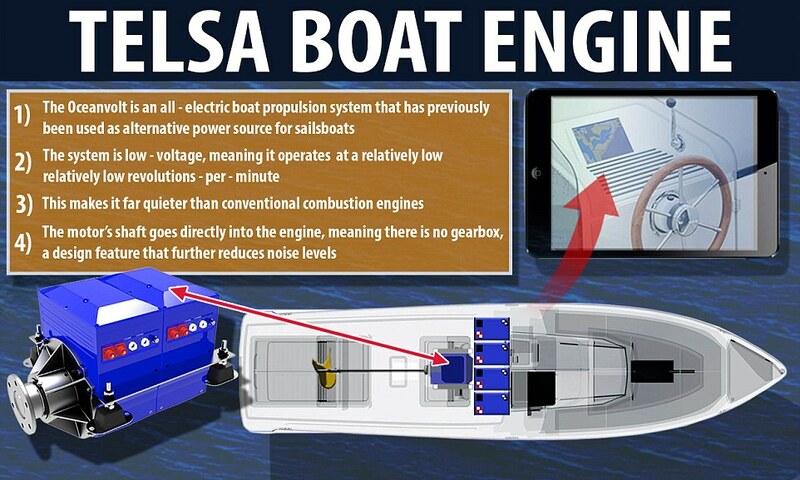 An all-electric motorboat that you can control with an iPad has been described as the 'Tesla of the seas'. What are the specs of the Q-Yacht Q30 ? While the engine system provides a quiet ride, it limits the boat's range and top speed, hitting just 15 knots (17mph/28kph) at its peak. The Q30 can cover 80 nautical miles at its cruising speed of 9 knots (10mph/17kph) but this drops to just 40 nautical miles (46 miles74km) at top speed. The basic battery pack allows for five hours of constant cruising, a figure that can be doubled with the addition of an extra pack. Passengers can enjoy a two-person sunbathing platform or four-seat table up top, as well as a cosy below-deck lounge and hi-fi audio from a wireless Bluetooth speaker. 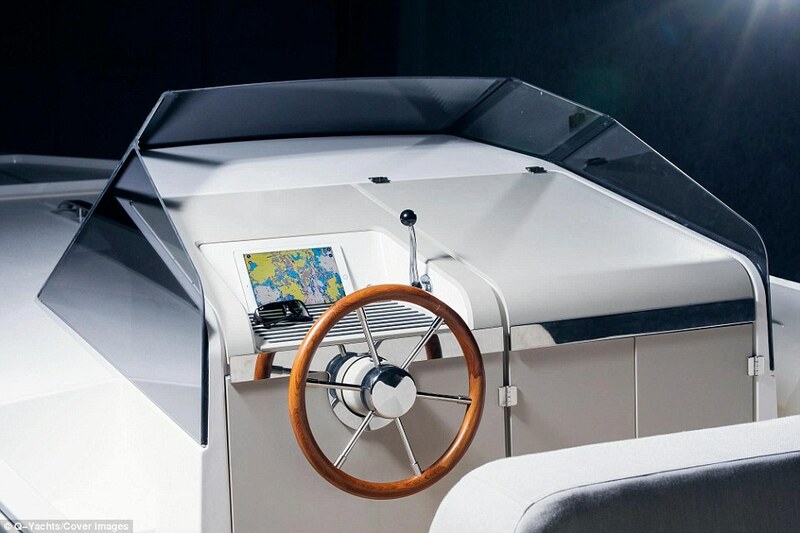 Dubbed the Q30, the vessel is propelled by an all-electric silent motor system called 'Oceanvolt' that has previously been used as an alternative power source for sailboats. The vessel's hull and deck are made of a lightweight vinyl ester resin and fiberglass that has been laminated with a shimmering white gelcoat. Its shape has been designed to minimise the wake the vessel produces as it cuts through the water in an effort to further minimise noise. 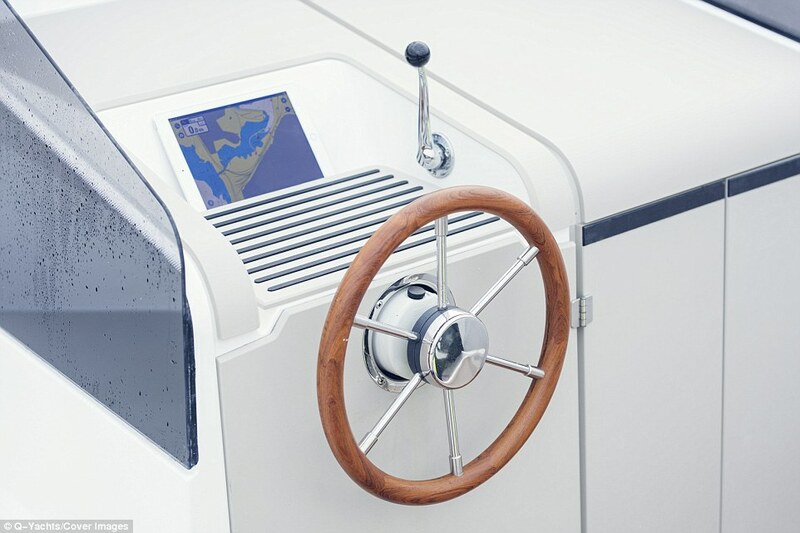 An iPad nestled behind the wooden steering wheel controls navigation in the form of an interactive map, as well as interior and exterior LED lights.